Running through the colorful heart of northern Minnesota's Iron Range, the Mesabi Trail is an invitation to experience a landscape shaped by both an abundance of natural beauty and resources. Built on old railroad beds and logging and mining roads, the paved route scenically winds through forests and fields, past lakes and streams as well as passing old iron ore pits and working mines. The Mesabi Iron Range is the nation’s chief deposit of iron ore, and the trail connects recreationalists with 28 communities whose heritage cannot be untangled from the discovery of ore, the laying down of the rail tracks and the movement of minerals, timber and agricultural products. 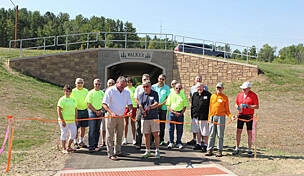 When complete, the Mesabi Trail will run for 132 miles between Grand Rapids and Ely. As of 2014, 115 miles of the trail have been completed: 87 miles between Grand Rapids and Wynne Lake, with additional side spurs to Chisolm, Eveleth and Aurora. There is a 3-mile section in Soudan and another 3 miles in Ely. Towns and overlooks are dotted along the entire route, and animal sightings are common—keep an eye out for deer, raccoons, beavers, eagles, hawks and even the occasional black bear. 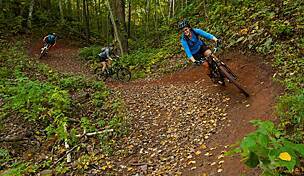 It is important to note that the trail is a mixture of on- and off-road riding, with flat and straight, hilly and curvy segments. If you like diversity, this is the trail for you. From the edge of the Boundary Waters Canoe Area Wilderness, through the Superior National Forest and over the Laurentian Continental Divide, discovery (and a good amount of exercise) awaits you. The Mesabi Trail is a project of the St. Louis & Lake Counties Regional Railroad Authority and Itasca County Rail Authority. The trail office is located at the Ironworld Discovery Center in Chisholm, and their website is a good source for trail conditions, updates and maps. Particularly while navigating through the towns, you’ll want to use the interactive map (along with hypervigilance). Fly into the Gerald R. Ford International Airport in Grand Rapids. Central District Cyclery will set you up with a bike rental. While most of the towns you will encounter provide basic services, don’t expect a large range of options—particularly when it comes to overnight accommodations. Make your lodging reservations well in advance. Settle in at the Morning Glory B&B. On the weekends, enjoy their complimentary wine and cheese social hour or, with the warmer weather, stroll through their garden and relax on the patio. Grand Rapids is located on the banks of the Mississippi River and was named after a series of rapids that are now underneath the Blandin Paper Mill dam. Founded as a logging town, Grand Rapids is intricately linked to the forests; be sure to visit the Forest History Center to get better acquainted with this logging legacy (particularly if you aren’t around for the annual Tall Timber Days Festival). Judy Garland fans will have already noted that Grand Rapids was her birthplace, and her childhood home is now the Judy Garland Museum. On Wednesday and Saturday during the summer, the Grand Rapids Farmers Market is a fun place to pick up local, fresh fruits and veggie snacks. Grand Rapids has seven lakes within the city limits, three of which have public access beaches and boat launches. Though you will be cycling past plenty of lakes in the next couple of days, you might be tempted to get a head start on water time. 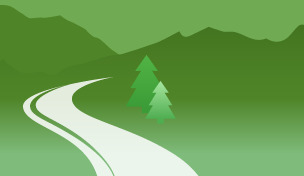 Trip-Planning Considerations: Numerous access points on the route make it easy to cycle segments of the trail as a day-ride. We offer a two-day itinerary for the 87 miles between Grand Rapids and Wynne Lake. If you intend to bike all the possible side trips between these points (Chisholm, Eveleth, Aurora), you may want to plan for a longer trip. Mesabi Trail Shuttle Service provides shuttle services as well as emergency bike repairs and pick-ups. 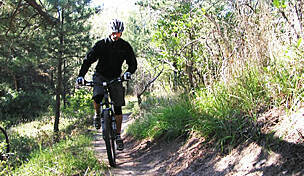 Before cycling the trail, you will need a Wheel Pass (for trail users age 18 or older); buy the pass can online or from vendors near the trail or at the self-pay kiosks along the route. This is Minnesota, so along with your bicycle repair supplies and first aid kit, bring insect repellant and something to soothe the inevitable mosquito bite. Don’t forget your swimsuit, sun hat and fishing rod. Also, bring plenty of water with you on the trail, and be prepared for some long climbs with occasional steep grades. After a restful night and hearty breakfast at the Morning Glory B&B, bike a mile north to the trailhead at the Itasca County Fairgrounds. Campers can opt to stay at the fairgrounds and just roll out of the tent onto the trail. Parking is available near the trailhead at the north side of the fairgrounds. Begin your Mesabi Trail adventure by heading north into the woods. 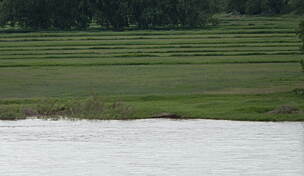 In the first 3 miles you encounter a few hilly sections and rural roads coming to the Prairie River. The trail gently curves east, and a small bridge carries you over the river. Lakes, ponds and open-pits begin to fill the landscape around you, and County Highway 61 is never too far away. Coleraine, 7.5 miles east of Grand Rapids, is located on the edge of Trout Lake. If you are ready for a rest, head to Longyear Park (Lakeview Boulevard) or Cotton Park’s public beach (Roosevelt Avenue). In less than a mile from Coleraine, the trail hedges between the community of Bovey and Buckeye Lake. For an espresso pick-me-up, take a quick detour down 2nd Street to Bella’s Café in the antique mall. Back on the trail you skirt the northern limits of Bovey and head into a densely forested section for about a mile before you meet up with Highway 169. The trail here is mostly surrounded by trees and shrubs, but you will likely hear car traffic. When the trail crosses Hodgins Avenue (approximately 1 mile), decide how you want to proceed to Marble: You can bike on Highway 169 for 4 miles (this is the quickest route, though not by much), or take the road into Taconite to join the trail again at the end of Beasley Avenue The latter is more scenic and mostly off-road; it’s about a mile longer than cycling Highway 169, but both routes take you to the northeastern edge of Marble. Expect a steady climb on your way out of Marble. The old Duluth Missabe and IronRangeRailway (DM&IR) corridor takes you to Calumet (1.5 miles) and the Hill Annex Mine State Park. This mine was operational from 1913 to 1978 but is still open for touring Memorial Day through Labor Day. Though the land shows scars from the effects of open-pit mining, plant and animal life have returned, and the park is now a release site for peregrine falcons. Beyond Calumet, the woodland patches become less dense and farther apart. Traveling on the DM&IR corridor, you see evidence of the industrial rail and iron activity that fed the nation’s steel mills for decades. Switch yards, loading docks, round houses, engines and rolling stock remind you of the railroad’s immense influence in this region. By the time you reach the northern outskirts of Pengilly(4 miles), the trail crosses Highway 169 twice and takes you past Snowball and Ox Hide lakes. 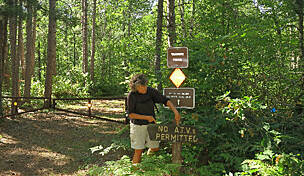 The trail then parallels the highway for the next 3 miles toNashwauk,the first mining town in Itasca County. Nashwauk’s Hawkins mine first began stripping in 1901; you can view the open pit from an observation stand at the western edge of town. The trail also passes by a Sinclair Express Mart if you need restroom facilities, snacks or liquids. Second St, to Central Avenue will take you through town. You are more than half-way through your day’s miles and may be ready for lunch. There are a couple markets and an eatery in town, including Fred’s IGA on 2nd Street. Two miles outside of Nashwauk you cross O’Brien Creek and the O’Brien Reservoir. There is a picnic area and swimming beach here. Cycle another 3 miles to Keewatin, another significant mining town; large tailings basins frame the town’s northern and southern periphery. Again, the trail ends, and you must cycle on-road through the downtown. The next 11 miles to Hibbing are largely on or near roads. Near Hibbing are the continental divide and the Hill of Three Waters, Minnesota’s own triple divide, where water flows north to the Hudson Bay, south to the Gulf of Mexico and east to the Gulf of St. Lawrence. When you reach Hibbing, the largest city along the Mesabi Trail route, we recommend stopping for the evening and exploring the town. If your bike needs some service, Bikes on Howard can give you a hand. Head to the historic Mitchell-Tappan House, now a B&B though originally built in 1897 as the home of the superintendent of the Oliver Iron Mining Company. 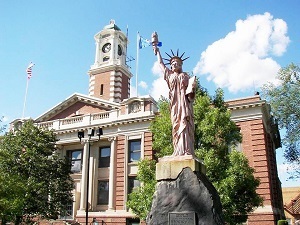 Hibbing is probably best known, however, as the childhood home of songwriter and musician, Bob Dylan. You can see a collection of documents and pictures related to his early life at the Hibbing Public Library. Tours are available at the Historic Hibbing High School Dylan attended, and Zimmy’s Restaurant features Dylan memorabilia as well as a full breakfast, lunch and dinner menu. True Dylan fans will want to be in town during the annual music Dylan Day festival in May. This is a popular event, so make your lodging reservations well in advance. History buffs can explore the Hibbing Historical Museum (year-round, Tuesday-Friday) and the Greyhound Bus Museum (yes, Hibbing is the birthplace of the U.S. bus industry, open May-Sept). One mile north of downtown is the Hull-Rust Mahoning Mine Overlook, which offers a jaw-dropping perspective on the world’s largest operating iron ore mine, and glibly called the “Grand Canyon of the North.” Since 1895, this mine has removed over 690 million tons of iron ore and still operates today to produce taconite pellets. Shore up on calories at Grandma’s in the Park Bar and Grill (located in Hibbing Park Hotel); they have nightly specials with an all-you-can-eat fish-fry on Fridays. On your way out of town, stop at Sunrise Bakery and pick up some treats for later in the day. This multi-generational family has been baking since 1910, nailing to yummy perfection their Italian sweets, cookies and breads. You will be happy for the sugar since the next 13 miles to Buhl, though scenic, includes some gentle and not-so-gentle rolling hills. A good part of it is far enough away from the highway to give you a sense of seclusion and tranquility; but, it isn’t particularly shaded, so get an early start if you are cycling mid-summer. 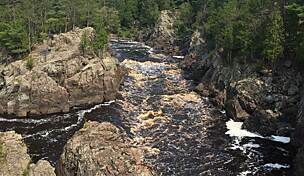 Have your camera ready for a nice photo op of the beautiful gorge between Chisholm and Hibbing. Pick up the trail in North Hibbing past the Greyhound Bus Museum. 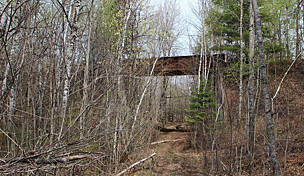 Back on the abandoned railroad, you ride past mine pits to reach the eastern edge of Chisholm(8 miles from Hibbing). If you want to immerse yourself more in the region’s cultural legacy, take the Chisolm City Trail into town. The Minnesota Museum of Mining (Memorial-Labor Day) and the Minnesota Discovery Center are two particularly kid-friendly ways of doing this and are both in town about 1.5 miles from the Mesabi Trail. If you have had your fill of mining and museums for now, take the right leg of the trail to go east, past several old pieces of mining equipment. Switchbacks and turns take you past tailing piles and the Sherman and Fraser mines until you enter the outskirts of Buhl, 5 miles later. On the northern edge of Buhl is Stubler Beach, with picnic tables, restrooms, a city campground and (according to Buhl) the finest water in America. The trail skirts Buhl Lake’s southern shoreline. Back on the DM&IR rail corridor after 2.5 miles, there’s a short on-road segment once you come to Highway 25; head south for 0.5 mile to resume the corridor path and parallel Highway 169 N for 4.5 miles. At this point, you take a decidedly northern trajectory for the remaining 2 miles to Mountain Iron. It was at Mountain Ironthat ore in the Mesabi Range was first discovered (1890). Railroad buffs will want to check out the 1910 Baldwin locomotive in town. The Minntac Mine overlook just south of town provides a glimpse of Minntac’s taconite mining operations and gives you a good sense of the origin of Mountain Iron’s name—it was literally built on a mountain of iron. You will need to cycle down Main St. through town for 3 blocks to find the rail trail again. Leaving Mountain Iron, you cycle past the deep blue-green water of theWacootah ore pit and through a wooded section of the path. In the spring, fields of wildflowers colorfully punctuate the greenery. Enjoy the peacefulness of this stretch because traversing through the next community of Virginia is not so straightforward. The community of Virginia(4 miles from Mountain Iron) surrounds two lakes: Silver and Bailey. You cycle around the edges of Olcott Park, in the northwestern part of town, and past the Heritage Museum. At N. 6th Avenue, the trail scoots around the northern borders of Bailey Lake before heading south again along the eastern side of town. Virginia is a good place to stop for lunch, so a detour from this route into the historic heart of Virginia is probably in order, and there are several eateries and markets in town to choose from. At N. 6th Avenue W., head east between the lakes. The Natural Harvest Food Co-op is on 3rd Street, and the Shop Coffeehouse (they also serve beer and wood-fired pizza) is a few blocks farther on Chestnut Street. There are several other eateries on Chestnut as well. To get back to the trail, follow Chestnut until it dead-ends at the lake; turn right on S. 1st Avenue E., and the off-road trail shortly resumes again. The streets may be quite busy during the annual Land of the Loon Festival in June, so be prepared for parades and crowds should you be in town at this time. You pass by the Rouchleau Mine’s Mineview in the Sky (another chance for a panoramic view of mining operations) and continue up Pike River Rock Cut, an 8 percent grade uphill and also one of the most photographed places along the trail. The route to Gilbert (6 miles) is mostly wooded and relatively remote. In Gilbert, you have another chance for food and drinks but this time with a Caribbean twist (and umbrellas, pineapple slices and lime). The Whistling Bird restaurant is a colorful and tasty find for these parts. 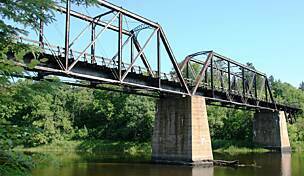 At Gilbert you have the option to take the 5-mile spur to Eveleth (see description below). Otherwise, carry on your northeasterly journey to Biwabik, 8.5 miles farther. This section of the route is a mixture of on- and off-road segments through rural neighborhoods and woodlands. Biwabik is a Bavarian-style village and home to the “Honk the Moose,” a life-size statue of a moose that apparently wandered into town and stayed—more than 70 years ago. East of Biwabik, you travel 1 mile alongside Highway 135 until you reach Embarrass Lake Wayside Park and the northern corner of Embarrass Lake. At the parking lot you will find a side loop down to the lake. You might well be ready, especially on a hot summer day, to cool down by the water for a while. There is a beach, boat launch and lots of fish. The path hugs the lake’s edge for about 0.5 mile before crossing Highway 135 to head north alongside the Embarrass River. If you are interested in extending your bike ride, join the spur to Aurora here (see the description below for details). Though the Embarrass River may not be visible through the trees, enjoy this quiet, shaded stretch. After 1.5 miles you meet up with a county road to tag alongside it for the rest of the six miles north to the Giants Ridge Golf & Ski Resort and current terminus of the Mesabi Trail. To the east of the county road lie Wynne and Sabin lakes, popular spots for fishing walleye, northern pike, crappie and bass. The trail ends at the Giants Ridge Golf & Ski Resort—convenient for golfers who are ready to put away the bike and pick up their clubs. There are plenty of other summer-time activities to do in the area, however, and the resort provides canoe, kayak and fishing boat rentals. The Wacootah Grille is open during the golf season to serve breakfast, lunch and dinner. If it’s not your style, consider staying the night at the Green Gate Guesthouse, located near Embarrass Lake. This farmstead has been lovingly restored through green, sustainable practices. Camping is also available on Embarrass Lake at the Vermilion Trail Campground. 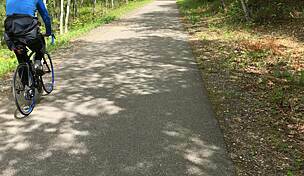 Spur to Eveleth (10 miles roundtrip): The 5-mile trail to Eveleth begins on Kansas Avenue (Gilbert). Though the primary thoroughfare leading into town is not far away, the trail is bordered by trees and shrubs and is a largely secluded ride (with a couple of road crossings). You pass by the Sparta-Matta and Genoa mines. The Leonidas Mine is located on the west side of Eveleth, and you can appreciate another tremendous view of a landscape shaped by mining at the Leonidas overlook. Eveleth is home to the world’s largest hockey stick and the U.S. Hockey Hall of Fame. Spur to Aurora (9 miles roundtrip): At Embarrass Lake, continue east on MN 135 N for 3 miles (it becomes County Highway 100 and W 3rd Avenue N). Turn left at N. Erie St. and ride until the road ends and the Mesabi Trail begins to your right. From here the trail loops around Lake St. James for 3 scenic miles to bring you to the northern edge of town. Aurora was named after the aurora borealis of the northern lights. 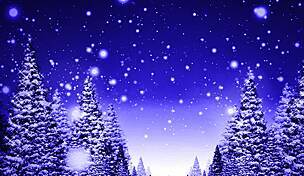 Though you may not see this brilliant display of lights while you are visiting, there are still plenty of opportunities to soak in the natural beauty of the area. Aurora has numerous parks in town and is sandwiched between the Superior National Forest and Whiteface River State Forest. Classical music lovers will appreciate beauty of another kind if you’re in town to catch the Northern Lights Music Festival: three melodic weeks of musical performances throughout the Iron Range (including Aurora, Gilbert, Virginia and Chisholm). There are bakeries, grills and pizzerias in town, so if you bike the extra miles, take heart that rejuvenation awaits.